The Institute of International Relations would like to cordially invite you to a seminar titled "Current Trends and Prospects for the Middle East Peace Process" taking place on August 15 at 3PM at the Institute of International Relations, Nerudova 3, Prague 1. The talk will analyze current developments in Israel and the Palestinian territories (among the people as well as the leadership) and the potential for a renewal of the Middle East Peace Process and a two state solution to the Israeli-Palestinian conflict. It will also point out where priorities for an European engagement should be. 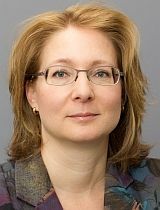 Dr. Muriel Asseburg is a senior fellow at SWP, the German Institute for International and Security Affairs in Berlin. Her ongoing research is mainly focused on Israel-Palestine and Syria. She is currently involved in a project with the Israeli think tank Mitvim the aim of which is to understand divisions among EU member states, the domestic and international drivers, their effects on the MEPP, and possible approaches to overcoming them. Jan Daniel, PhD., is a senior researcher at the Institute of International Relations in Prague and member of the IIR Centre for European Security. His current research is mainly focused on the Middle East and North Africa (Libanon, Syria, Algeria), nongovernmental armed forces in international politics and foreign peacekeeping operations and state-building.